The Youth Learning Centre (YLC) is not your average school. Surrounded by the savanna, rainforest and mountains of Guyana’s North Rupununi district, it’s the only tertiary educational institution in the country’s hinterland. 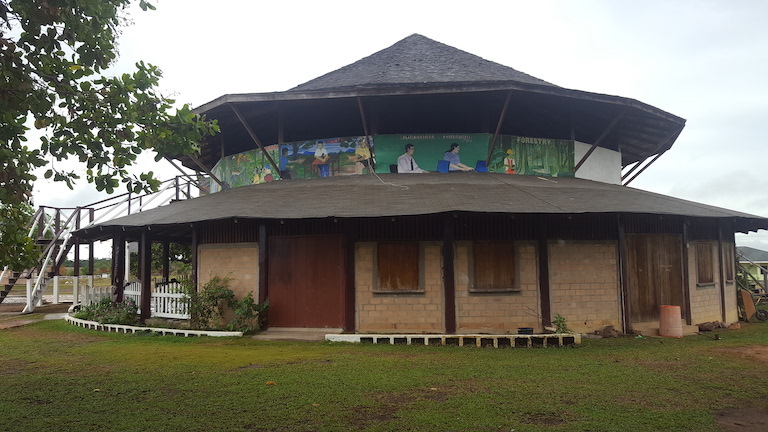 And although the two-year syllabus includes English and math, classes focus on areas relevant to life in Guyana’s interior, such as agriculture, natural resource management, forestry, tourism, traditional crafts and one of the local indigenous languages, Makushi. Annai is a small village in the Upper Takutu-Upper Essequibo Region of Guyana. Annai stands at an altitude of 95 metres (314 feet), at the edge of the Rupununi savannah, where the cattle trail to the Atlantic coast begins. It is nestled in the foothills of the Pakaraima Mountains, and is close to the Rupununi River. Annai, considered to be the gateway to the Rupununi, is approximately 15 miles north of Karanambo and is 416 km (258 mi) by road from the nation’s capital, Georgetown. Much of the population of the area are members of the Macushi people. Annai is one of the northern-most Macushi Amerindian villages in the North Rupununi Savannahs.